A sport sedan with a whole lot of attitude. Designed to deliver something more than your average drive. Acura defied convention with the 2017 Acura ILX. The ILX is a sport sedan with the luxury, performance and features you’ve come to expect from Acura. The latest ILX packs on the standard features with a multi-view rear camera, keyless access and ignition, heated seats, hands-free Bluetooth, a touchscreen display and a security system. By making all of these features standard, Acura has set the bar high for its competitors. 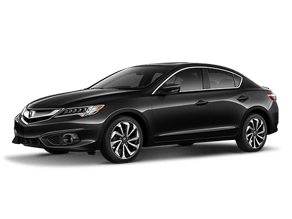 Combine all of that with a bold design that demands attention without being overly ostentatious, and you have a complete sport sedan package with the 2017 Acura ILX. 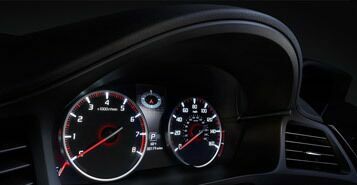 The 2017 Acura ILX has a standard Multi-Information Display (MID) that sits between the tachometer and the speedometer. The information displayed on the MID can be controlled with the touch of a button on the steering wheel. This keeps all pertinent road information in your line of sight while your hands stay on the wheel. The MID allows you to view everything from current MPG data to tire pressure at a glance. All 2017 Acura ILX models feature standard dual-zone automatic climate control. This means the driver and the front passenger can maintain their own individual climate settings to ensure that everyone is always riding in comfort. The ILX will even remember your climate settings and pair them with each individual remote so that different drivers can still maintain their individual settings. With the optional Technology Package, the ILX can use GPS to track the sun and adjust the interior temperature accordingly. Every 2017 Acura ILX packs a punch under the hood. With 201 horsepower and 181 pound-feet of torque ready to be unleashed when you press the accelerator, the ILX is a blast to drive and still maintains excellent fuel economy. According to EPA estimates, the 2017 ILX is able to achieve 25 miles per gallon in the city and 35 miles per gallon on the highway. 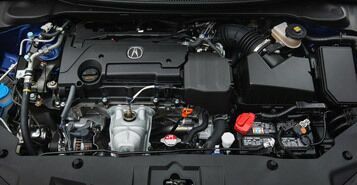 With variable valve timing and lift control, the ILX engine produces great power without the lag of comparable turbocharged engines.